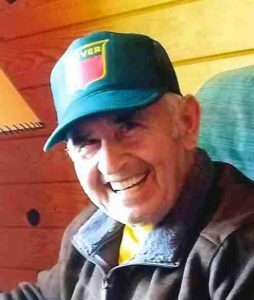 David Ludewig age 77, of Sleepy Eye, MN died on February 10, 2019, at Divine Providence Community Home in Sleepy Eye. Visitation will be on Wednesday from 4 to 8 pm and will continue on Thursday from 9 until 10 am at the Sturm Funeral Home, Sleepy Eye. Service will be held at the St. Mary’s Catholic Church, Sleepy Eye, on Thursday, February 14, 2019 at 10:30 am. David Joseph Ludewig was born on March 26, 1941 in New Ulm, MN to Raymond P. & Gertrude (Schumacher) Ludewig. David married Marietta Elizabeth Guttum on October 22, 1962 at St. Mary’s Catholic Church in Sleepy Eye, they lived West of Leavenworth. The couple moved to Leech Lake for four years. They returned to the Sleepy Eye area where David worked at Deming Construction, Del Monte for Pea Pack, BCA and Mathiowetz Construction. They later moved to Sleepy Eye. He was a member of St. Mary’s Catholic Church. David enjoyed fishing, hunting, playing cards, smoking sausage, pickling fish and especially spending time with his family and friends. David is survived by his wife, Marietta, sons, Jason (Jessica) Ludewig, Jeremy (Carly) Ludewig, grandchildren, Collin, Macey, Logan and Lennon, sister, Adeline Braulick, brother, Charles (Marlys) Ludewig, brother-in-law, Wally (Margaret) Windschitl, sisters-law, Bernice Groff, Phyllis Case and Joe (Donna) Guttum. He was preceded in death by his parents, his mother and father-in-law, Luverna & Joe Guttum, sister-in-law, Diane Wenisch, brothers, Ben (Alvina), Felix (Lillian), Leonard (Rosella), Matt (Verna), Cyril (Judy), Frederick (Judy) and brothers-in-law, Edwin Braulick and Adrian Jenniges.